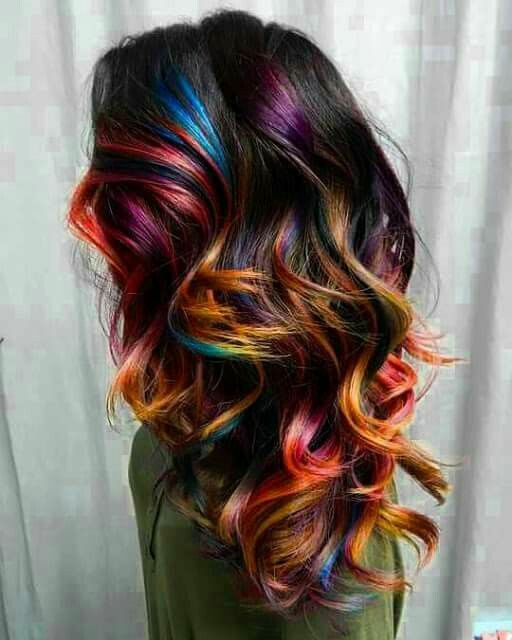 Summer is the perfect time to try a new hairstyle and even more fun, if you're daring to try a new color. The trend that's turning heads everywhere, is RAINBOW colors. The rainbow effect gives many beautiful hues of red, blue, purple and orange tones. This does require a process to maintain your hair's flawless, colorful appeal. The products listed are the top shampoos and conditioners for keeping healthy, manageable and vibrant hair color. Avoid shampoos with sulfates and styling products with alcohol. Sulfates and alcohol based contain ingredients that would cause the color to fade any hair color. HAIR TIP: A Weekly or Bi-Weekly Deep Conditioning Treatment is recommended to avoid dryness and color protection. HAIR TIP: Avoid heat styling when possible. Try fun and creative ways to style your hair, braids, twist and even pin curls can go a long way in keeping your tress looking A1!